Product #21087 | SKU 021510 | 0.0 (no ratings yet) Thanks for your rating! 12dB of Wind-Noise Reduction Over a Standard Windshield. 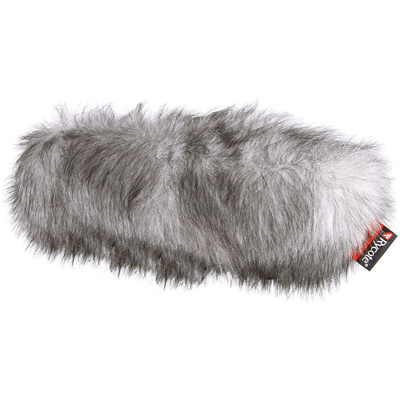 The Rycote Windjammer #295 is a synthetic fur cover that offer approximately 12dB of wind-noise reduction over a standard windshield. They fit securely using locking zip fasteners and Touch Fastener-tabs. The materials used are exceptionally transparent to audio and will remain so if regularly groomed with the brush provided. Each Windjammer fits one specific size of Rycote Windshield. This windjammer fits the older code WS Windshield Systems. Special orders available for Black or White fur coverings. Lower frequencies are reduced an additional 10dB offering frequency reductions between 30 to 35dB from 75Hz and below.